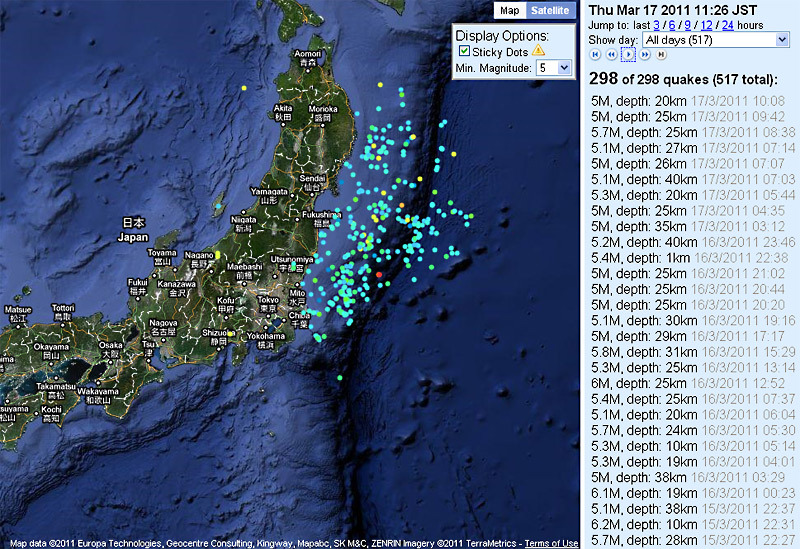 The aftermath of the Japanese earthquake may cause logistical disruptions and supply shortages. The IHS iSuppli teardown analysis of the iPad 2 so far has been able to identify five parts sourced from Japanese suppliers: NAND flash from Toshiba Corp., dynamic random access memory (DRAM) made by Elpida Memory Inc., an electronic compass from AKM Semiconductor, the touch screen overlay glass likely from Asahi Glass Co. and the system battery from Apple Japan Inc. There potentially are other components from Japan in the iPad 2, however, the teardown analysis process cannot always identify all components’ countries of origin. While some of these suppliers reported that their facilities were undamaged, delivery of components from all of these companies is likely to be impacted at least to some degree by logistical issues. The various challenges are being compounded by interruptions in the electricity supply, which can have a major impact on delicate processes, such as semiconductor lithography. Furthermore, semiconductor facilities in Japan that had suspended manufacturing activities following the quake cannot truly commence full production again until the aftershocks cease. “Earthquakes ranging from 4 to 7 on the Richter scale will make it impossible to really restart these fabs until the earthquakes stop happening with such frequency,” said Dale Ford of IHS. “Every time a quake tops 5, the equipment automatically shuts down.” There are 130 production semiconductor fab lines located in 53 locations in Japan. Apple’s supply of NAND flash has come under scrutiny in light of a temporary suspension of production and the resulting scrapping of some wafers at Toshiba’s main NAND production facility. The compass and glass supply could prove to be more problematic issues for Apple. Although AKM said its fab that produces the electronic compass used in the iPad was undamaged by the quake, the company’s shipments are likely to be impacted by the same logistical issues that will plague all Japanese industries during the short term. Compasses are available from other sources including Yamaha, Aichi Steel, Alps and STMicroelectronics. However, these components are not easily replaceable. The glass used in the iPad 2′s touch screen overlay could present another supply problem for Apple. While the supplier of this glass cannot be confirmed with certainty, the concurrent release of the iPad 2 and the new Dragontrail Glass technology from Asahi Glass of Japan has led to speculation that Asahi may be the supplier of this durable new glass, according to Kevin Keller, principal electronics analyst for IHS. Asahi Glass reported damage to two of its facilities and damage at a third. The lithium-ion polymer battery in the iPad 2 also is manufactured in Japan, the IHS iSuppli Teardown analysis service has determined. “Typically, battery cells are made at the site of assembly but because the iPad 2′s lithium-ion polymer battery is unusually thin, it likely requires advanced battery cell manufacturing technologies that reside in Japan,” said Wayne Lam, senior analyst, competitive analysis, at IHS. Logistical disruptions may mean that Apple could have difficulties obtaining this battery, and it may not be able to secure supply from an external, non-Japanese source. Details Here.